I used to love frozen chicken pot pies. The little ones in the tin cups that you cook in the oven for 45 minutes. They are no good for you and full of calories, which I did not realize when I was eating them because I did not care about calories. I ate them a lot as a child and during my college years, but really have not had chicken pot pie in years. Recently I came upon a recipe for a “lighter” chicken pot pie. The recipe looked so easy I figured I would give it a try and see what happened. I have been having a lot of success lately with new recipes and really felt like I was on a roll. From start to finish I can have delicious chicken pot pie in about an hour and with the use of my food processor the prep work for the recipe is super easy. I’m going to post recipe below, but I changed a few things to fit what my husband and I like. My husband and I did some grocery shopping yesterday and walked through the natural/organic section of the grocery store and I stopped in front of the peanut butter and jelly/preserve section. I had originally intended to get some organic, natural, and probably salt-free peanut butter. I had a taste for peanut butter but did not want to have all the salt and sugar you find in the national brands. While standing in front of the natural/organic peanut butter my eyes looked over and noticed the almond butter. 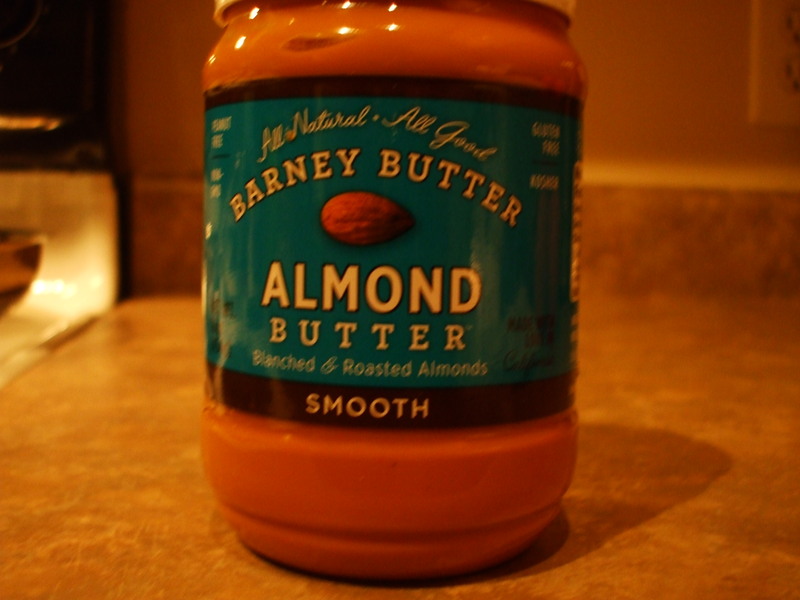 I’ve seen almond butter everytime I shop for peanut butter and just never really stopped to pay much attention.